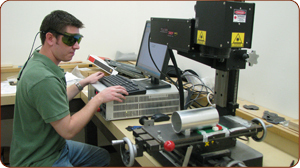 When customers need one-time only permanent ID marking on equipment or material (ie. 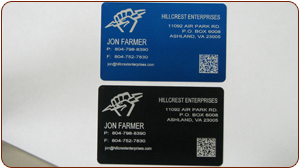 Part numbers, date codes, etc) Hillcrest Enterprises can bring our laser marker to your site to mark the equipment or we can mark the parts here at our site. In addition to selling plugs and receptacles, Hillcrest can attach cables to the plugs and receptacles according to customer specifications. 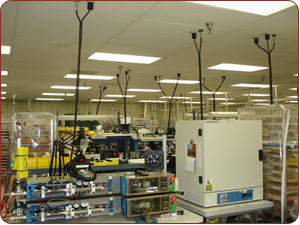 This saves the customer the considerable expense of purchasing installation tools. 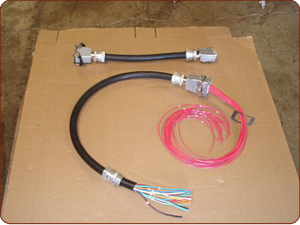 Here are 2 examples of cable assemblies created by Hillcrest for our customers.